Entry through the south door is level for wheelchairs and children’s buggies. There are two steps at the north door entrance and a portable ramp is available if required. There is a hearing loop in use during all services. There are toilets and utility services in the ground floor of the tower. One of the two toilets is suitable for use by disabled people and wheelchair users, and there are also facilities for changing nappies. 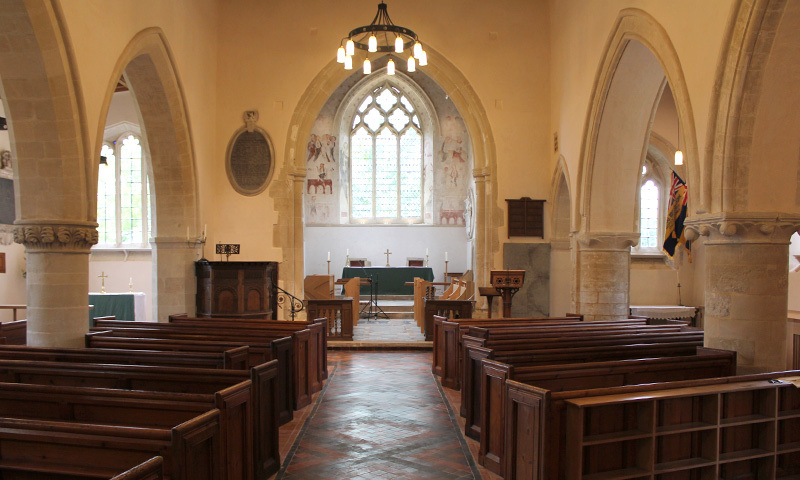 From April to September the church is open to visitors from 11am to 2pm on Wednesdays and from 2pm to 4pm on Sundays, when volunteer guides may be available to show you around. At other times a key to the north door may be collected from the Londis shop in the centre of the village. Please return the key to Londis after you have completed your visit. There are printed guide sheets available to assist your visit. 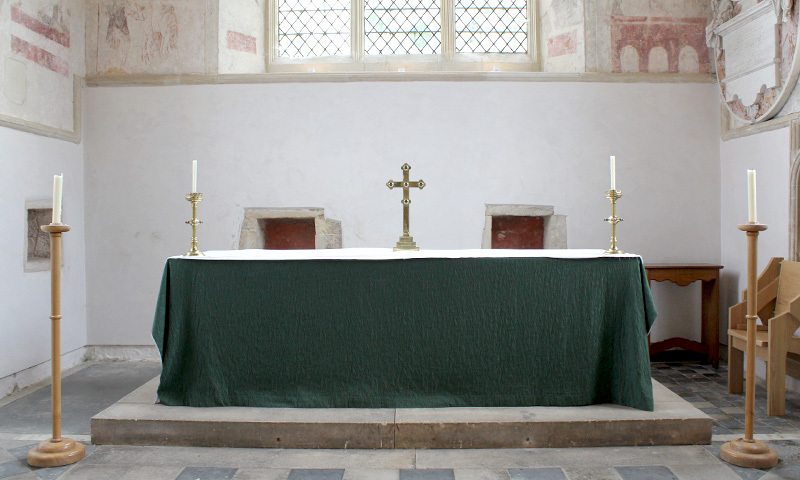 It is possible that when you visit you may find the church in use for a wedding, baptism or funeral. Please respect these acts of worship and either wait until the service is finished or find another time to visit. You may wish to download our visitors app to your smartphone or tablet before you visit. 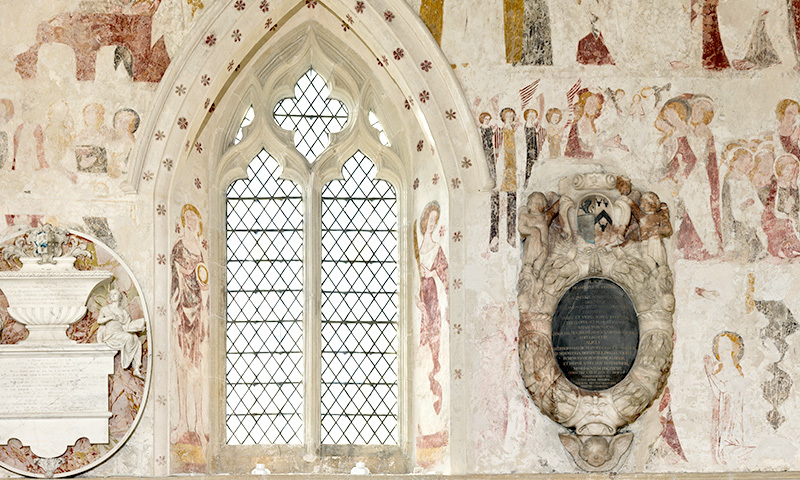 It is called “St Mary’s Chalgrove”, is available for both Apple and Android formats and can be downloaded free. The video content of the app is streamed so you will need to use our WiFi broadband connection when you are here. There are instructions how to do this in the church, and our volunteer guides will assist if they are available. Please remember to bring your headphones with you so as not to disturb other visitors. The app has two sections, one for adults and one for families/children. Alternatively, when volunteer guides are available, you may ask to use the i-Touch handsets provided which have the complete app pre-loaded. There is also a printed Children’s Quiz, and if you would like colouring sheets for your children please ask the volunteer guides. There is a small car park at the east end of the church. There is a car park at the Village Hall in Baronshurst Drive nearby and a larger car park at the other side of the recreation field which is accessed from the High Street opposite the Red Lion pub. From there it is a five minute walk to the church across the recreation field. We recommend that coaches do not attempt to drive down the narrow lane to the church. Below you will find links to online map resources that can provide you with directions and exact details on our location. If you are using a sat nav then our postcode is OX44 7SD. However, putting this postcode into Google maps will place you on the north side of Chibnal Close. Do not go into Chibnall Close but go on further along Baronshurst Drive and turn right into the single track extension of Church Lane, signposted with a green and white sign “To the Church”.